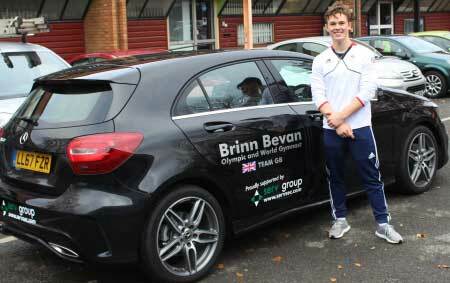 Serv Group is proud to be a longstanding primary sponsor of south Essex born and based British elite olympic athlete Brinn Bevan. 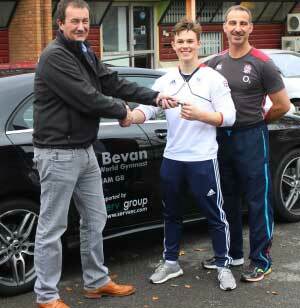 He recently called in at the Group's hq to collect his new Serv-sponsored car from the company. Brinn (20) took up the sport when he was three years old and trained and competed at the highest national levels throughout his childhood. 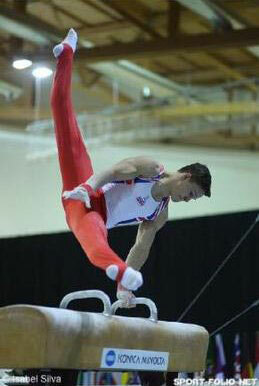 He made his senior debut in 2015 and was part of the first men's team to win a team medal at a World Gymnastics Championships for Great Britain in Glasgow that year. He was then chosen as one of the five-man artistic gymnastics team which competed for Team GB at the 2016 Olympic Games in Rio - its most successful games to-date. Brinn is recovering well from a serious injury and anticipating being in contention for team places following the English Championships in early Spring, with the Commonwealth Games (Gold Coast), European (Glasgow) and then World (Doha) Championships all following in 2018. Beyond that his eye is on the 2020 Tokyo Olympics! Brinn is shown picking up the car from Serv Directors Lee Raife (left) and Jamie Howard and also in action on the pommel horse. There's more on Brinn at www.brinnbevan.com. Serv Group wishes him a rapid return to full fitness and all the very best for his upcoming challenges.